Summer is a peak time for renovations and construction in our towns and rural areas. 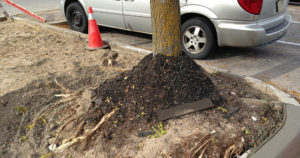 While it is important for municipalities to upgrade our streets and highways, as well as for home owners and builders to improve existing building and amenities this activity can have a major impact on trees. Since trees play such an important role in our health and well being it is helpful to educate ourselves on how we can help preserve our urban forest. Experts agree that tree protection during construction is more important (and less expensive) than removing damaged trees or planting new ones after the fact. Scraping bark and Broken branches can leave wounds that can lead to decay or invite insect infestation into the tree. Structural damage caused by construction can lead to further breakage in storms if not corrected with proper pruning techniques. 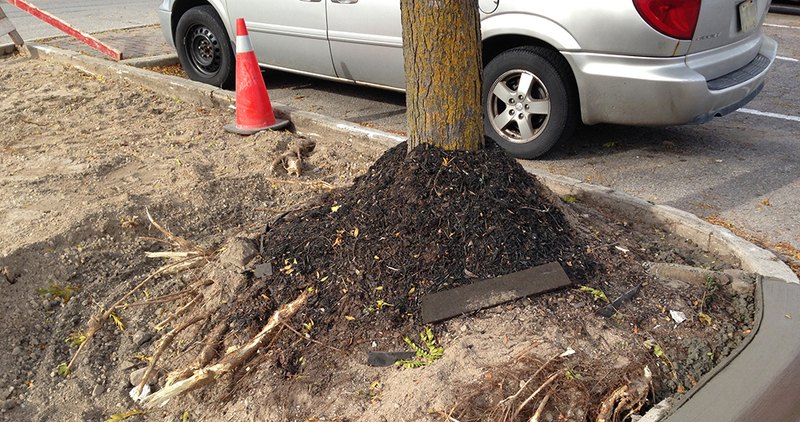 Trenching, grade changes and digging up roots has a significant impact on the health of a tree. It is important to note that trees typically don’t show signs of stress for a few years after root damage has occurred. That is why prevention of damage before it happens is so important! We all play a part in preserving our trees and the value that they provide to our everyday lives! Don’t pile materials on tree roots zones. The area directly under the crown of the tree/dripline is the most important area to protect. Use tree protection on construction sites like fencing or hording to prevent materials, equipment and vehicles from getting too close. Owned and operated tree service in Center Wellington since 2009.